When you picture the image of the typical American dad, what do you see? I believe most of us see the traditional image of the hard-working man who has a steady job, comes home well after the sun has set, and is always taking on some project to improve the quality of life for his family. That’s certainly how I was raised to view fatherhood, and I’m guessing it’s what you believe too. Reality check: all that work, and all the stress we endure, isn’t always making our family’s lives better. And we’re slowly realizing that. 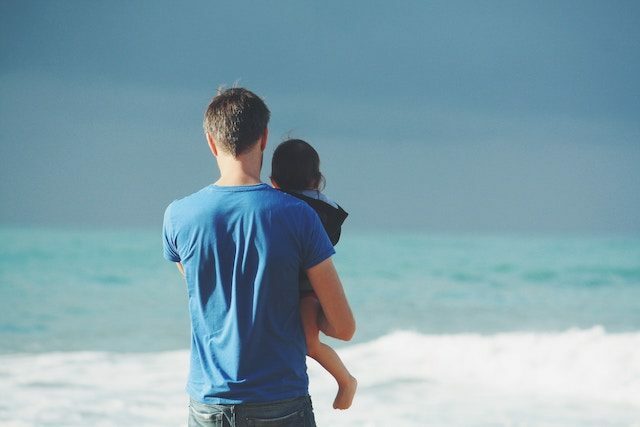 Forbes published the results of a Pew Center survey that showed 48% of working fathers felt like they spent too little time with their children. The workplace isn’t helping, as the study showed that just 14% of workplaces offer the same pay levels for paternity leave as maternity leave. With working dads getting busier than ever before, how can we spend the time with our families that we want, but still meet our obligations? Let’s explore a few ideas. These ideas seem simple but to your child, they’re a chance to spend some time with dad. Plus, by watching you work, they learn how to do the job themselves, so they can do the job for themselves one day. As an alternative to the preceding paragraph, consider ditching some of the daily chores you have, and let someone else handle them. You may be under the impression that you have to do everything yourself, but that isn’t necessarily the case. A maid can clean the house for you or a personal assistant can handle your grocery shopping and scheduling. If you’re worried about the cost, ask yourself – is the money you’re saving worth the time you’re losing with your children? I understand that many families aren’t in a position to hire someone to handle all of life’s menial tasks. It’s nothing to feel ashamed about. But if you are in a position where you can afford it, take advantage of the assets you have to spend. Pay someone else to take on those minor tasks and use the resources available to help you balance your expenses. Dads tend to assume that quality time with family means going on an extravagant vacation or finding the time for a trip to the park. The reality is that your children just want to be with you and talk to you, no matter what you’re doing. “Quality family time” doesn’t mean you have to spend a lot of money or plan a special occasion. There’s quality time abounding in your every day, working life. If there’s one thing that you know your kids will be doing every day, it’s eating. Taking the time to join them at the family table, as often as you can, is a simple way you can spend time with your kids with taking on an extra burden. Moms are traditionally the ones who get the kids prepped for school, but it doesn’t have to be that way. You can help them wash their face and put on their clothes just as easily as she can. Even if it just takes 15 minutes, that’s some time that your children get to spend with their daddy, and that means the world to them. You may have a ton of work piled up, but that doesn’t mean it won’t keep until a little bit later in the evening. Taking just 15 or so minutes to tuck your kids in at night can really strengthen the bond you share. If you can include something engaging like reading a story to them, all the better.